A stirring account of some recent activities of ‘Clinique Emmanuel’, the thriving field hospital set up by Emmanuel TV in Arcahaie, Haiti after the devastating earthquake that crippled the country earlier this year, as published in The SCOAN’s latest publication of ‘Read Us’. OVER 230,000 dead, 300,000 injured, 280,000 buildings collapsed, 1,000,000 homeless and 3,000,000 affected. The stats are staggering. On Tuesday 12th January 2010 at approximately 16:53, parts of the Caribbean island of Haiti literally crumbled to pieces at the mercy of the 6th most fatal earthquake of all time. With irrecoverable damage done to communication systems, major transport facilities, electrical networks and hospitals, bodies of the dead strewn on the streets and thousands more trapped inside collapsed buildings, it was a scene of utter chaos and confusion. Deemed the worst earthquake of the modern era, compounding already existing problems in the poverty-stricken isle of Haiti, the world watched in horror as images of destruction and devastation filtered through to international media. Thus began one of the largest aid relief operations in recent history, with humanity uniting together for the common purpose of assisting the homeless and helpless in Haiti. Here is the story of one such relief mission which began in the humble office of a pastor who watched the distressing images of the Haitian suffering and could not afford to look the other way, whose passion and vision to help the Haitians overwhelmed the seemingly insurmountable odds. And as T.B. Joshua watched, The Emmanuel TV Haiti Earthquake Relief Team was born – a mission to bring hope to the orphans, relief to the sick and comfort to the suffering in the faraway nation of Haiti. The task seemed impossible on the outside, but an instruction in righteousness from T.B. Joshua had come, and thus the divine provision, protection and enablement to achieve it. Merely two days after the earthquake struck, SCOAN Evangelists in both America and the United Kingdom were preparing themselves for a journey into the unknown. “It was clearly a God-directed mission, a God directed venture,” recalled Nick Holmes, a member of SCOAN UK and part of the initial relief team. “This was 48 hours after the event when the world was still reeling.” Consistent with its name, ‘Church Of All Nations’, the preliminary team consisted of people spanning three continents and with a broad range of skills and expertise – doctors, nurses, engineers, pilots, humanitarian workers and evangelists inclusive. Merely a week later, planes were boarded and the team touched down in Cap Hatien, one of the few airports unaffected by the quake, located in the north of Haiti. 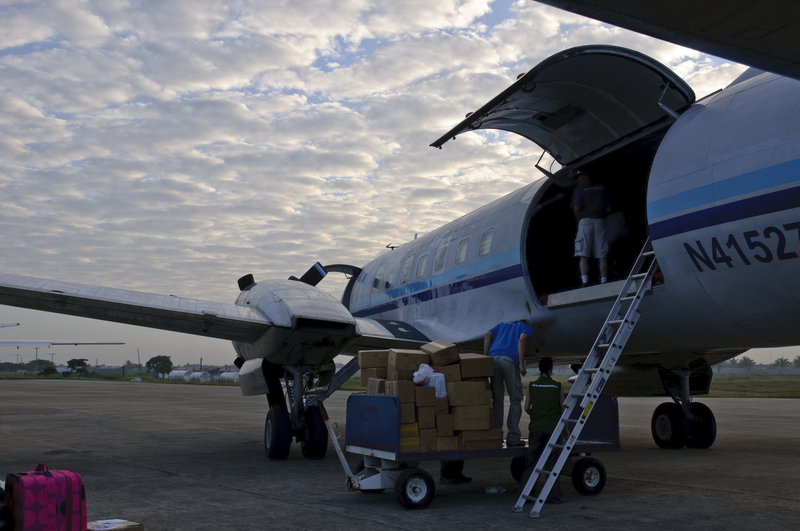 A cargo plane, chartered from Florida and boldly emblazoned with the emblem of Emmanuel TV, arrived shortly afterwards and unloaded essential medical supplies and foodstuffs with the assistance of the United Nations. Carrying only a rucksack of personal necessities and a resolve to meet needs and solve problems, the team had arrived and the vision was nearing reality. Whereas most aid organizations had set up base in Port-au-Prince, the nation’s capital and scene of most carnage at the time of the quake, the ETV team decided to choose a location slightly away from the capital. Upon the advice of a local charity, Konpay, they chose Arcahaie, a small rural town of roughly 100,000 inhabitants 40km north-west of Port-au-Prince, a place many earthquake victims had run to for shelter. It was a ten hour journey along bumpy roads and over steep mountain paths with a jeep and two large trucks carrying the life-saving supplies and equipment. For every member of the team, this was the first time they had ever entered a disaster zone of such magnitude. It was a journey of faith where obstacles did not dictate the direction. “We were told that we have no experience and that we should not go – but we went anyway,” declared Cara Lauchland, a SCOAN evangelist from the USA. “We were told that no flights are going in to Port-au-Prince so we flew in to Cap Haitien in the north. We were told that the roads were too damaged to drive on; we drove all the way without any problem down to Arcahaie.” They arrived on January 26th 2010. With the project still in its earliest stages, one story stands out as a testament to Clinique Emmanuel’s vision and mission. A mother was rushed to the camp, already in labour and extreme pain. “She came when we were not properly set up,” Rachel remembers. “We had no beds set up, so she delivered on the concrete. It was very touching because she was so grateful to have medical staff there and to be able to say she had given birth in a ‘safe’ environment – an environment which to us needed to be seriously worked on! Once the baby was born, she told the translator that she would call her Emmanuella after Clinique Emmanuel.” A testimony to the new life Clinique Emmanuel was breathing into a community distraught with death and despair, Baby Emmanuella was the first of countless babies to be born safely in the clinic in the coming months. 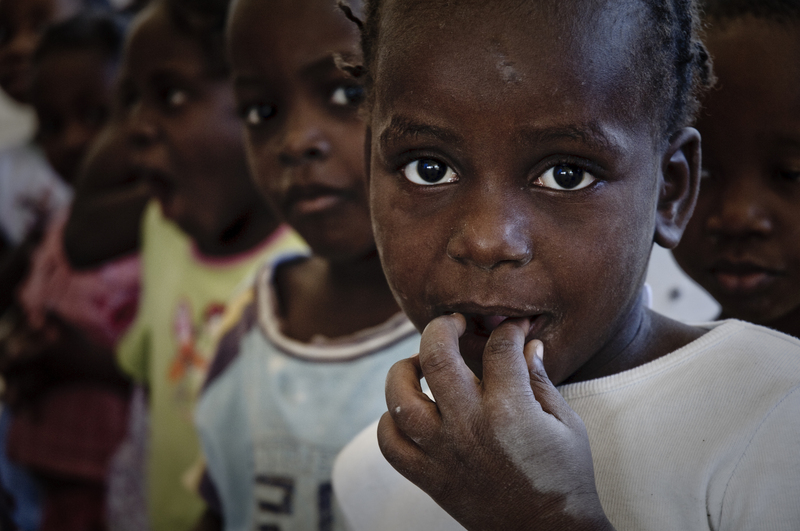 The children of Haiti - you cannot afford to fail them. Failing them is failing God. With Clinique Emmanuel firmly established, T.B. Joshua made a passionate appeal to the viewers of Emmanuel TV to support God’s project in Haiti. 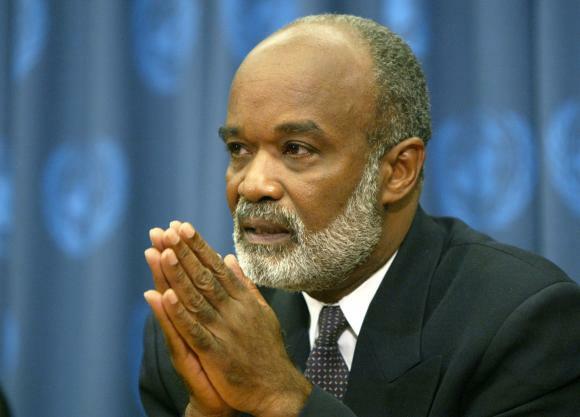 “As regards what is happening in Haiti, we cannot pretend not to see,” he admonished. “We are one another’s strength. Remember Christ says, all our doings without love are nothing. A true Christian is known by his love. Ultimately, we are called to respond to all human needs for that is what love entails. Weeks turned to months and Clinique Emmanuel forged ahead, driven by the unprecedented need around and the realisation that each gift and strength God had given were meant to meet such needs. This was a long-term commitment. Different international doctors and nurses who had taken up the call to assist came and left, with a rotational system in operation. The clinic was having such an impact on the community that the local mayor decided to give the land they had established to Emmanuel TV free of charge, in response to their relentless efforts to aid the community. Another pivotal moment in the journey of Clinique Emmanuel, epitomising the impact it has had so far on the Haitian nation, was the visit of Haiti’s President Rene Preval on May 17th. He came to thank Emmanuel TV for their selfless efforts and pledge his support to the clinic’s future. 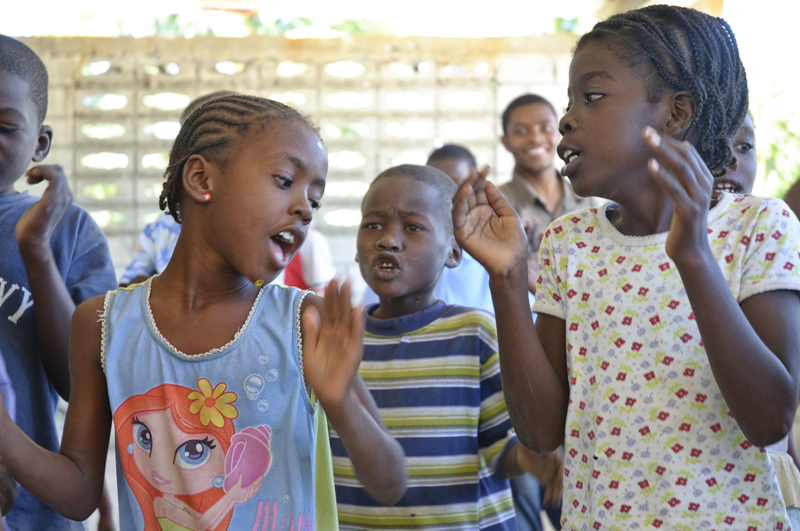 Bound by a common bond to help the Haitians, Emmanuel TV also worked with other organizations to spread practical and medical support to the orphans and homeless of Haiti. With a number of make-shift camps springing up sporadically around the affected-areas, many were sleeping out in the open or under improvised coverings, like bed sheets held up with sticks, and urgently needed shelter, especially in view of the impending rainy season. 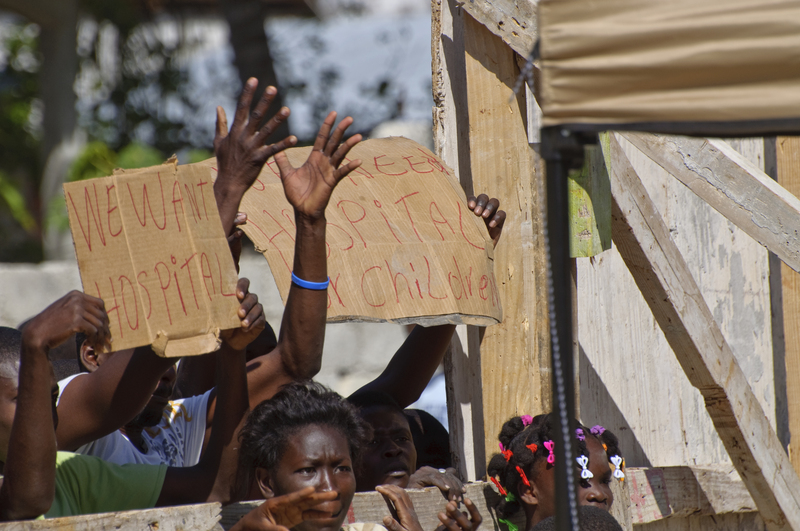 The Emmanuel TV Haiti Earthquake Relief Team worked with aid organizations such as ‘Shelter Box’ and OIM, visiting different orphanages and refugee camps around Haiti providing aid, large tents and medical care as well as educational supplies for the children. Another organisation they have lent their support to is ‘Love A Child Earthquake Relief Centre’ in Fond Parisien, Haiti to which many earthquake victims have been transferred from Port-au-Prince to receive follow-up treatment. In the midst of their extreme need, the selflessness and community spirit was also evident amongst the Haitians, who were pulling together at their time of greatest lack to build each other up. “I was touched by the way men in a camp for refugees form Port-au-Prince vigorously helped us pitch tents for the aged, infirm and little children, knowing they would still not be sheltered themselves, ” noted Peter Karp, an Australian lawyer also part of the relief team. Clinique Emmanuel is committed to rebuilding the Haitian society, and ensuring their children have the opportunity they need to grow to their fullest potential. However, they cannot do it alone. 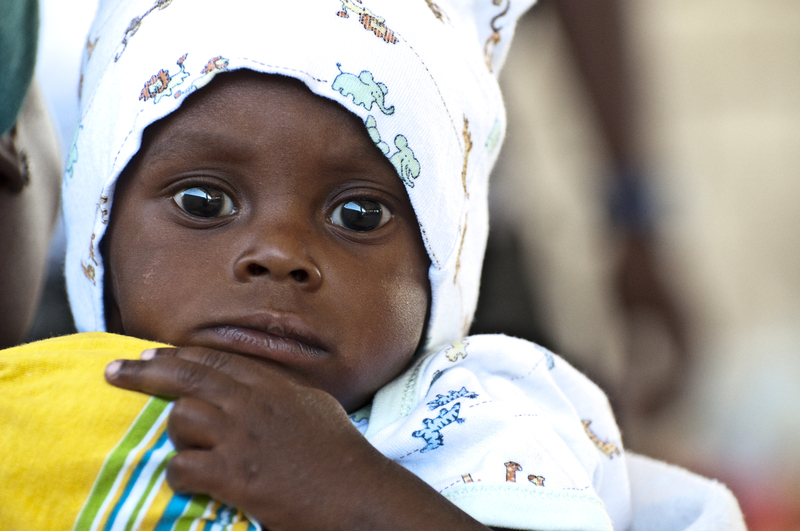 Whether through financial support, the provision of medical supplies or volunteering your skills and strengths to go out to Haiti, they need you. You too can be part of this life-saving venture. You too can make a difference. You too can be the hands and feet of Jesus. i was touched by what you have seen in Haiti , as a counselor in an organisation in Zimbabwe, that works with orphans and vulnerable children and i do understand what it is like to be working in such an environment and under such conditions that exposes you to this All children are vulnerable in one way or the other and in Haiti’s case its more severe , am willing to be part of that change in Haiti if you can give me this opportunity to improve their lives through counselling . I don’t have money but i can give my time . People needs should be fulfilled at par. Devasted from Home, shelter, and food. They need help to over come stress and multiligual problem. Reading through the ‘Working with God’s Projects’ article makes one to think deeply why we were born and what are our responsibilities and why we should fulfil them. Praise be to God for using Prophet T B Joshua to explain to us why there are problems and why we should we are solutions to the problems. I pray God have mercy on me to help since I am a solution. Let God touch hearts of many people in order for them to stretch their hands and help. Thank you Emmanuel Team for the great job you are doing.God continue using you more and more. Bravo and thankyou Emmanuel t.v,SCOAN family and all the humanitarian workers in Haiti.May the Lord continue to bless you and the work you are doing in Jesus Christ Name Amen.Thankyou. We thank God for his obidient survants who assisted the people of Haiti. Let the Lord of grace be with you forever and ever. Also not forgetting the man of God senior Prophet T B Joshua. God Bless you all at Emmanuel Tv and partners. To God be the glory! May the good prophet keep up the good work he is doing in the compassionate ministry. May the lord keep showering the blessings upon him. GLORY BE TO GOD FOR THE WONDERFUL THINGS HE IS USING THE SERVANT OF GOD PROPHET, T.B.JOSHUA,SCOAN/EMMANUEL, TEAM AND PARTNERS IN HAITI TO PREACH THE GOSPEL, HEAL,GIVE HOPE ,LOVE, ETC TO OUR BROTHERS AND SISTERS IN THIS PART OF THE WORLD. MAY GOD BLESS THE ANOINTED SERVANT OF GOD,PROPHET T.B.JOSHUA,SCOAN/EMMANUELTV AND PARTNERS, IN JESUS NAME, AMEN. The loving Heavenly Father loves you forever. He will never forsake you or leave you, He will strengthening you, help you and uphold you with His righteous right hand. Out of His glorious riches He will continue to strengthen you with power through His Spirit in your inner being. You can do everything through Him who gives you strength. The unfailing love of the Lord Almighty is your comfort according to His promise to His children. From everlasting to everlasting the Lord’s love is with you and His righteousness with your children’s children. He is God and Father of our Lord Jesus Christ the Father of compassion and the God of all comfort. In Mathew 7:7-8 7 Ask and it will be given to you, seek and you will find, knock and it will be opened to you. 8 For everyone who asks receives, and he who seeks finds, and to him who knocks it will be opened. In other words the Holy Bible is advising us that: Ask and it will be given to you; seek and you will find, knock and the door will be opened to you. For everyone who asks receives, he who seeks finds and to him who knocks, the door will be opened. Let you soul find rest in God Almighty alone, because your salvation comes from Him. God Almighty will restore you and He will revive you and He will continue to strengthen you. He will give you the desires of your heart with good things according to His will. He will open the door for you. If you seek Him you will find Him. He will meet all your needs according to His glorious riches in Christ Jesus. The God of all comfort loves the children. In Mathew 19:14-15 But Jesus said, Let the little children come to Me and do not forbid them, for of such is the kingdom of heaven. 15 And He laid His hands on them and departed from there. The Holy Bible is advising us that: Jesus said, Let the little children come to me and do not hinder them, for the kingdom of heaven belongs to such as these. when He had placed His hands on them He went on from there. Proverbs 22:6 Train up a child in the way he should go. And when he is old he will not depart from it. In other words: You are advised to train the children in the way they should go and when they are old they will not turn from it. Bring them up in the training and instruction of our Lord and Savior Jesus Christ. In Ephesians 6:1-2 1Children, obey your parents in the Lord, for this is right. 2 Honor your father and mother, which is the first commandment with a promise; 3 That it may be well with you and you may live long on the earth. The Holy Bible is advising the children to obey your parents in the Lord for this is right. Honor your father and mother-which is the first commandment with a promise. That it may be well with you and that you may enjoy long life on earth. I am encouraging children of God to put your hope in the Lord Almighty, for with the Lord is unfailing love and with Him is full redemption. people of God outside Nigeria please be careful. who are running Fake watsapp account (s) Fake e-mail (s) and Fake…. your MONEY. SCOAN DOESN’T USE WATSAPP OR EMAILS please be careful .!!! Senior prophet TB Joshua ….